This is a template, you can deviate from this. If you start new topics, please use DmiSummer2011 as a prefix to the topic title. 1. 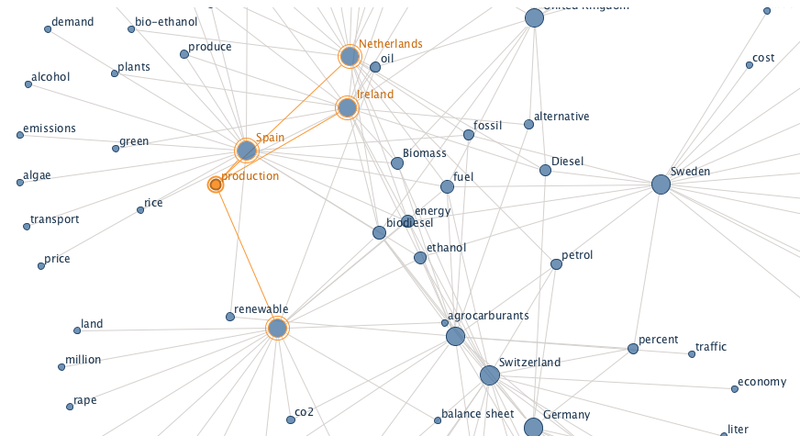 What are the topics dominating the debate(s) on biofuel in European countries? 2. Who are the actors (governmental, news-media, ngos, education) in the debate? What can this tell us in relation to the dominant terms? Step 1: Query local Google versions with the term “biofuel” or the translation for each country of inquiry. Translations have been derived from different language versions of Wikipedia. Step 2: From the Google results we took the pages returned in the top 10 results. 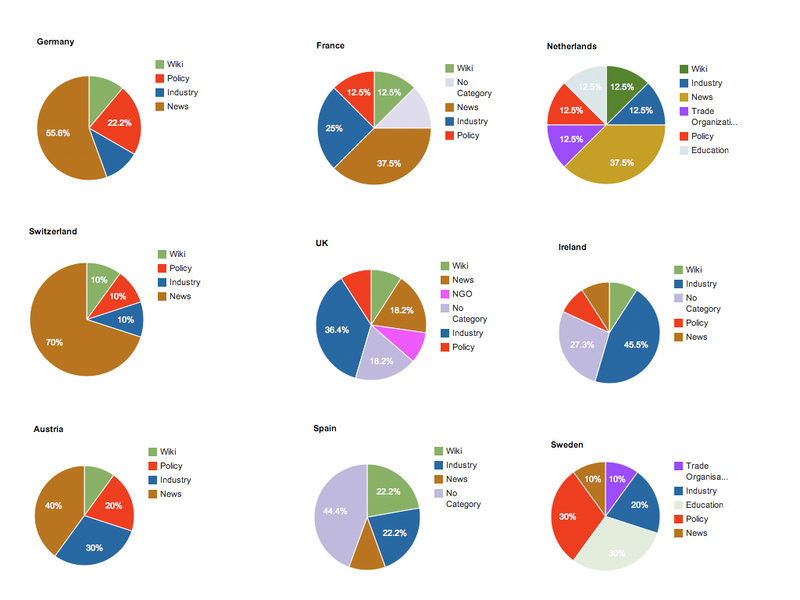 For each page returned we collected the 15 most used terms, using tagclouds. The tagclouds for non-english speaking countries were translated to English in order to be accessible to a wider audience. Step 3: The terms derived from the tagclouds for the top 10 pages per country were then used compile a collective tagcloud on the biofuel-debate for each of the countries. Each appearance of a term in the page-tagclouds increased the count for the term within the collective cloud by one. Step 4: The top results were also categorized in order to detect the background of the main actors in the debate. Step 5: The top 20 terms for each country were translated to English in order to find similarities between the debates in different countries.